I get asked a lot of questions about this special night at the Magic Kingdom in Walt Disney World. People want to know, "Is it worth the cost of an additional ticket?" In 2013, the price of admission was $57/child and $62/adult. Disney advertises this Not So Scary Night from 7pm-midnight. However, we walked right in with a crowd of other Trick or Treaters at 4:20 p.m. with no problem. This makes the cost of this ticket a lot more reasonable, especially if you do this in lieu of another day of park tickets. You can sleep in, hang out at the pool and relax then go to the party. The party is several nights a week beginning mid-September and going through the first of November. Tickets can either be purchased in advance or at the party (if it is not sold out.) One major draw of this event is the limited number of tickets sold. Less tickets means less crowds and easy walk on riding for even the major attractions. Dressing up is definitely more fun than going as you normally would. This was a rough sell to my family of varying ages and personalities. 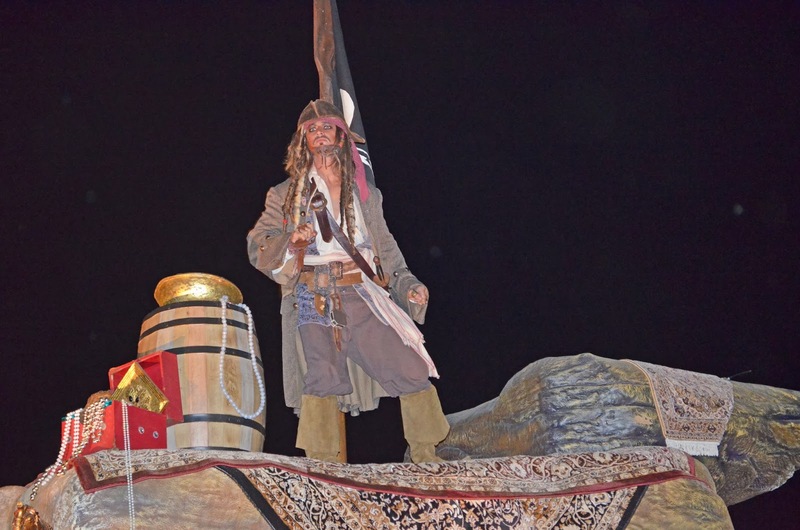 Your little princesses and pirates will enjoy dressing up but have sense, it is still hot in Disney in October and you don't want them getting heat exhaustion in that heavy costume YOU really like! Glass slippers are not very practial, tennis shoes are a smart move! To accomodate reluctant costumers...my 11 year old picked her costume (because she wanted to dress up) then we looked for non-crazy costumes to dress my husband and son. Below, my husband and son in superhero t-shirts with shorts. My daughter and I in costume as Batman and Robin. Rest and relax before coming to the party because you will want to stay the whole time. The parade is totally different than the daytime parade. The parade is done twice, the first one is very crowded, ride rides during this time and find a good spot for the second viewing. Fireworks show is best seen from Fantasyland, it will be crowded but you can see easily after all they are fire works so they are pretty high! ha! When you arrive get a Halloween Guide Map at the entrance, this tells you the parade and firework times as well as the parade route. As far as my 14 year old is concerned, the best thing on the guide is the map of the candy sections. Trick or Treat 'trails' give away candy at three stops for one time waiting in line. You will get a handful at each stop. Candy is given out at designated locations and not by the characters. Bring a sling style backpack for the kids to put their candy in, they will give you small plastic trick or treat bags but you will fill those quickly. 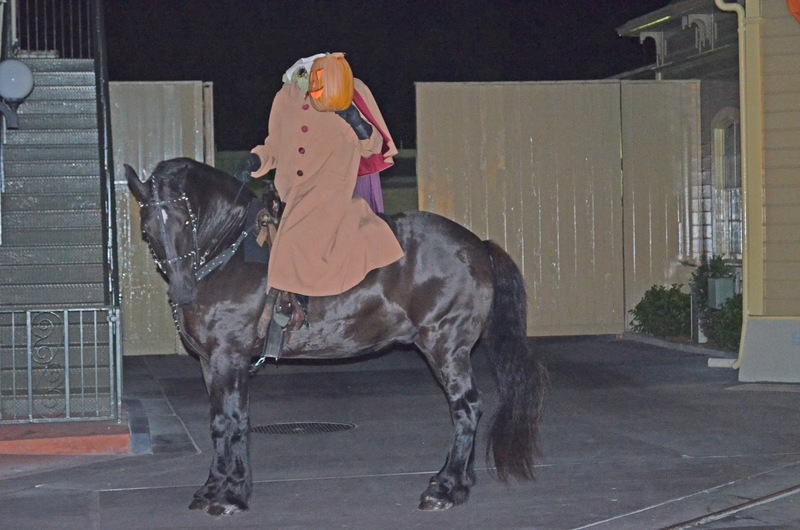 Headless Horseman leads the parade, since he's alone on a horse he is MUCH faster than the parade, you need to get there a little early to see him ride or you will miss him, he was our favorite part of the parade! Would I pay to do the Halloween Party again? I was shocked how much my teen son enjoyed trick or treating. Wait times made it well worth it for my family, 5 minute waits to Big Thunder Mountain Railroad, Space Mountain, Buzz Lightyear ... we didn't need fast passes and walked on everything. I will do it for short wait times however, I will plan it mid week, sleep late and do nothing that day until 4pm. (alternately, you could go to a park early, return to nap and shower then go to the party).